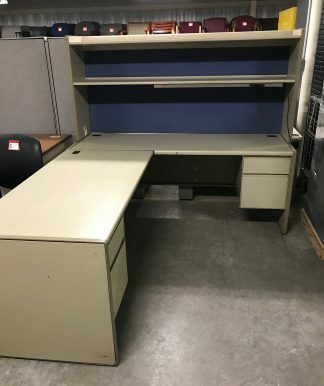 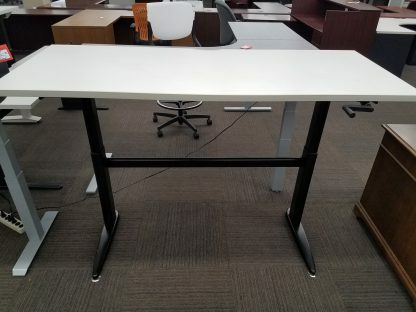 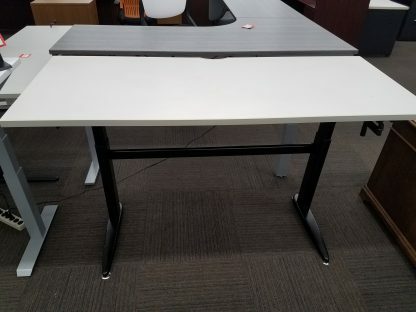 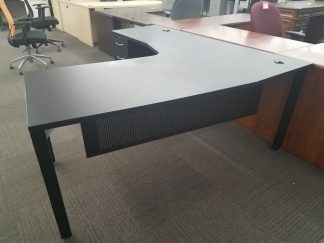 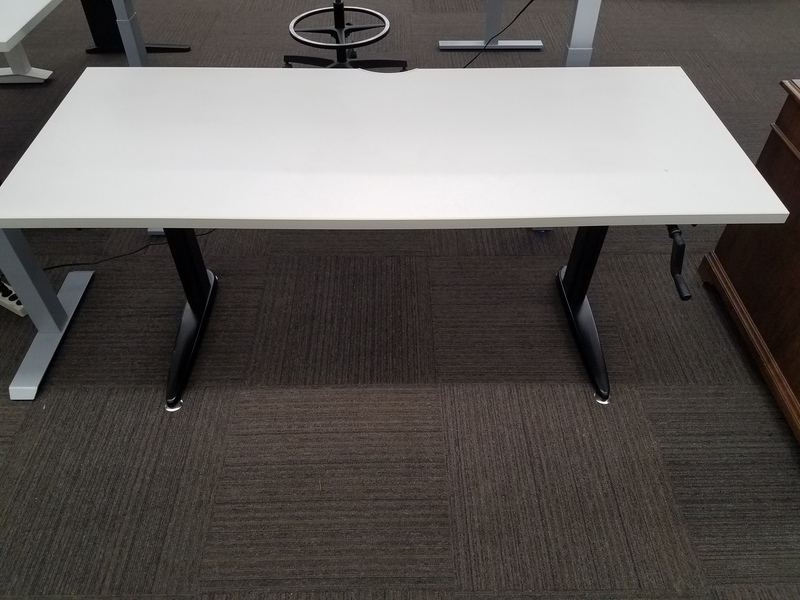 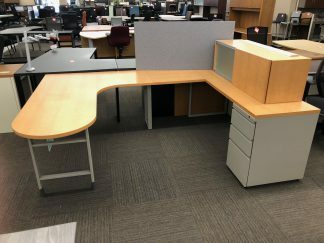 Used Haworth manual crank height adjustable table. Tops measure 70″x28 3/4″. 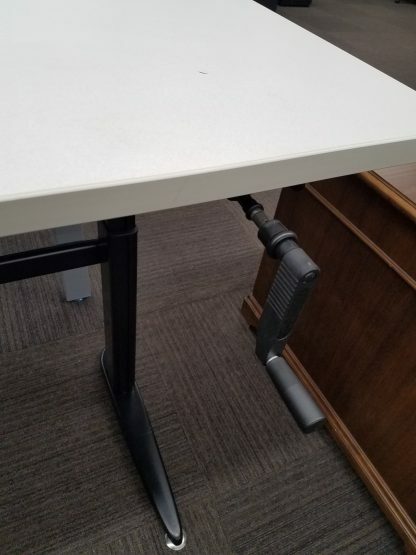 Crank can be folded to conceal under worksurface.